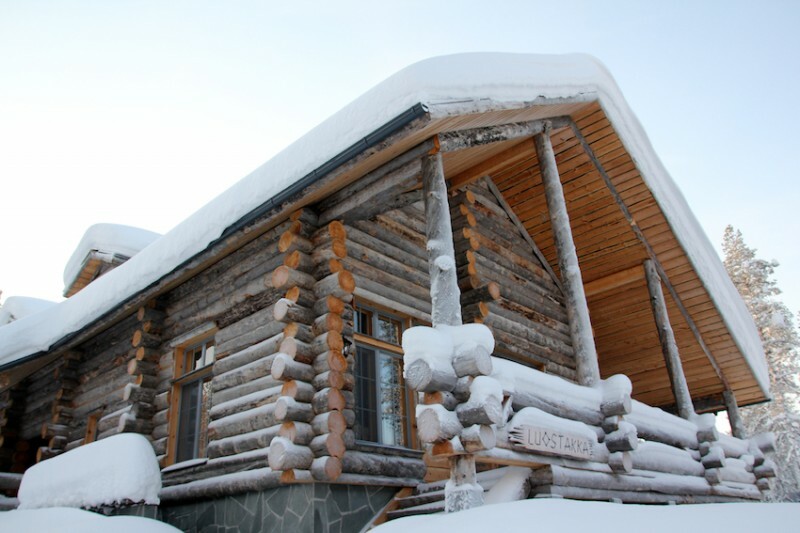 Luostakka is surrounded by the nature of Finnish Lapland and its eternal tranquility. Ylläs is a winter sports paradise and the skiing season starts when the first snow falls, normally in November. Excellent skiing conditions continue into late spring. But why not come to Ylläs in the autumn and experience ruska in Lapland. In Luostakka you forget the busy everyday life. Luostakka lets you relax and helps you to enjoy the peaceful atmosphere. Luostakka is located in Palovaara at Ylläsvaara and the address is Viidenkuja 7. Shops and other services are located nearby, the ski bus stops on adjacent Palovaarantie and cross country skiing routes are easily accessible. The house has a total of 300 square meters of space, divided into two apartments and they can be rented together or separately, as needed. The smaller apartment may serve as an area reserved for the hosts of a party housed in the larger apartment. There are beds for nineteen people in both apartments put together. With everyone having their own room, the house has room for nine people. The fireplaces in sitting room and saunadepartment are made of original Lappland stones. Work areas in the kitchens are also made out of stone and the kitchens are fully equipped. Both apartments have a ski service room. Wireless Internet is available throughout the house and all bedrooms have wired Internet. Foreign channels are available on all televisions. Additional to Canal Digital´s basic channels also the Family HD and MTV Total are available and Blu-ray player in both apartments . It is possible to rent the entire house (both apartments) or either of the apartments for an entire week or in ½-week long periods. Medium-season week 3 – 7 1950 2750 500 850 If you are interested in renting both of the apartments at the same time, please contact us. Own bed linen and towels can be bring along. The rents are inclusive of final cleaning. There are 6 double rooms and one single room, all with bathrooms and showers. A utility room fully equipped for laundry and drying clothes is located in the basement. The larger apartment has a spacious saunadepartment with fireplace room which can also be used as a meeting room. In addition to a double room, the smaller apartment has a spacious, full-height loft with 4 beds and a bathroom. The property service will provide the keys (1 for each apartment), which can be left on the table in the apartment at the end of your stay. The company providing property services also provides a variety of catering and food delivery services.